Plans are at an advanced stage to launch a government space to allow for innovators under a yet to be launched public service model. The space will be highly competitive as is typical with accelerators. The government has set aside Kshs. 1 Billion fund to back the service. Ideas and solutions generated will then be sold to the government or incorporated into the delivery of government services. 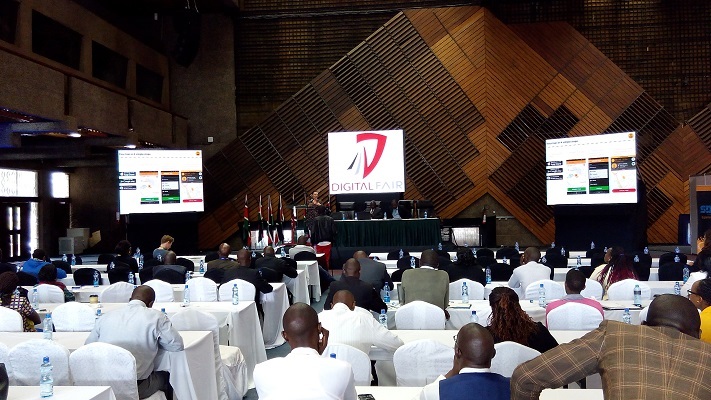 This was announced by Dennis Itumbi, the Director Digital PSCU during the East Africa Digital Marketing Summit & Show. “For the longest time, the question has been what is the government doing for digital innovation. The Jubilee government seeks to rectify this narrative”, he added. The space will incorporate a lab to develop ideas, a platform based on the Ted Talks idea where individuals with ideas meet with innovators and begin to action on them. There also plans to scale the ideas developed through the Kenya Secondary School Science Congress into tangible solutions. Itumbi also spoke on the steps the government has initiated to address the growing digital citizen in Kenya. The government is set to launch Nexus.go.ke, a government newsroom working concurrently with mygov.go.ke. The platform will provide government services such as Ecitizen, host the Huduma platform as well as Gok interracts sessions. The platform will be run from statehouse. Other measures include the Statehouse Whatsapp number and Sauti Yangu Mobile App. On the controversial issue of Wifi to Counties , Itumbi confirmed that the project has taken off with plans to launch in five more counties. “The free Wifi project sought to provide websites for counties, county services on mobile Apps, centralized communication and innovation hubs. Its working Nakuru and coming to more counties”, he addded.